When I shared this beautiful picture of the Jacaranda Trees on the social media yesterday this post got a lot of responses… and continues to pour in still. Perhaps it touches the chord of connectedness somewhere amidst the roots. Am highlighting a few learnings along the way for me through this post. My friend John Rylance mentioned about how much the beautiful work ‘ Endymion’ the poem with the opening line …. ‘A thing of beauty is a joy for ever’ by John Keats applies to this picture . In his words .. 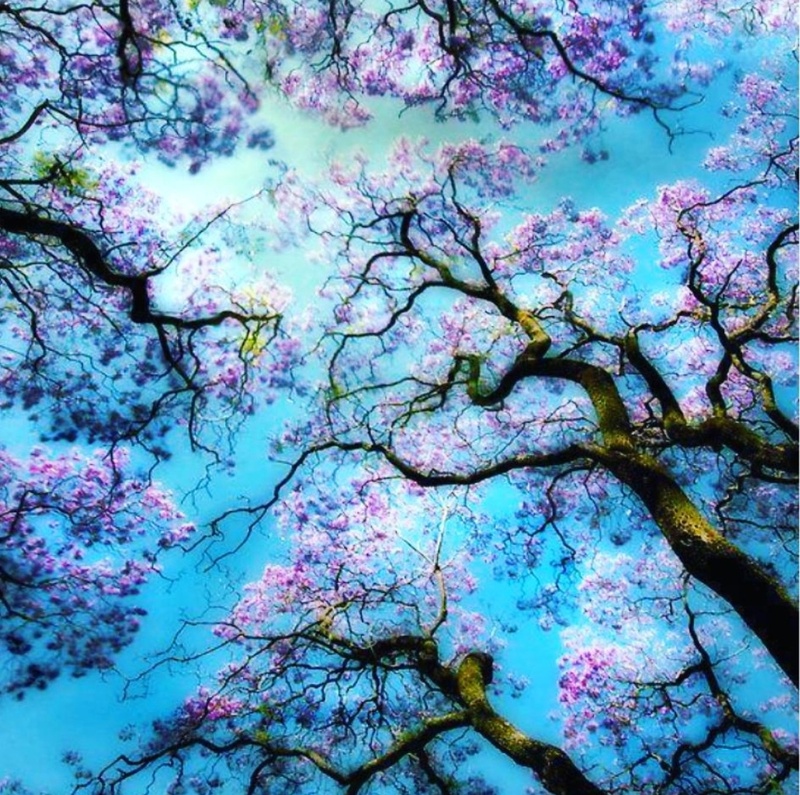 I also came across the video clip about these trees there..
@Savvy Raj Jacaranda’s are truly beautiful. They bloom this time of year and our street plus many surrounding areas are covered with bright blue-purple flowers. Pretoria is known as the Jacaranda city, but Johannesburg where I live, actually has more of these trees lining the streets. Very nice post Savvy – thanks for the video too. A thing of beauty is a joy forever indeed! Thank you all for your amazing contributions. What did you see in the picture ? Categories: Creativity, life, Life and Living, Love, Nature, Peace, Photography, Poetry, visualverses, Writing | Tags: # appreciation #nature, # creativity#artist # expression, # Positive Approach #, #Abundance #awareness, #interconnects#Mothers nature #poetry, #Liife and Living, Appreciation # Finding Happiness, Beauty, Beauty. life and living, Cultural Tolerance, Dialogues for Peace, Glorious day, Heart connects, Human Integration, Inspirational, Integration, motivational writing | Permalink.